There is a brand new challenge blog, with free downloads to enter the challenge. Please visit Debbees Delights Blog to find out all about it. Here is my card made with the free papers and toppers. I am also entering it into the challenge on Winter Wonderland which is 'Let's go Shopping'. Thanks for entering Debs 1st Challenge Colleen. Like the layout. Hello Colleen. Lovely card - do you think that could be you and me?! Thank you for joining us for Debbees first challenge. Hi Colleen. 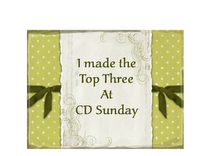 Thank you so much for joining in our first challenge at Debbees Delights with your great card. I hope to see you here again. You'll love next months papers.